It looks simple, but it is not. First you have to figure out the equation, then you have to know how to spell the answer, then you have to find it! 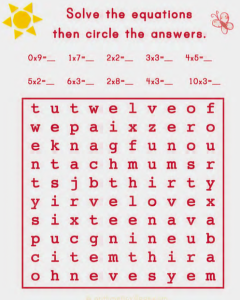 It’s perfect for people who love puzzles and who don’t love long lists of equations on a page! If it works for you please share!